Korean MOC Pages user Kyoung-bae Na, aka edulyoung, constructed this beautiful LEGO automaton of a winged Pegasus. 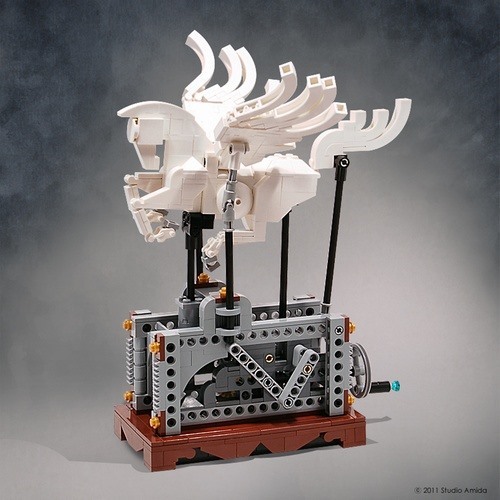 Maneuvered with a series of mechanical LEGO gears and cranks, watch below as Pegasus "hovers", flapping her wings. Kyoung-bae Na sells his creations out of his e-shop, Studio Amida. The Pegasus automaton was previously going for $140, but is no longer listed; however, there is a clownfish currently available for the lower price of $33.50. 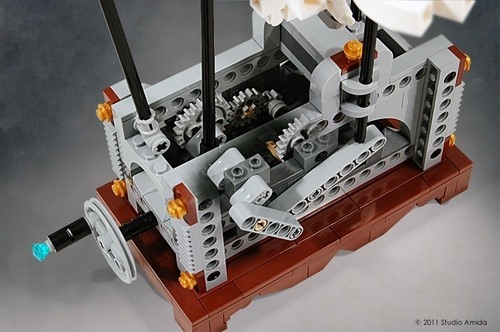 The models are so fantastic—it makes one wonder, what does the lair of a LEGO automaton creator look like? Hopefully it's filled with magical LEGO automata. Got an amazing LEGO project? Submit it to WonderHowTo World, LEGO People.